Thanks for taking the time to visit the new RS Direct responsive website. We have quickly become known as one of the fastest expanding sports and performance centres in the UK. We are a small family run business that offers unique and desirable cars all presented to industry leading standards. In addition to selling cars, we have an online parts store and we are happy to offer workshop facilities and general car advice to you after you have purchased from us. We are located on the outskirts of Bristol city centre in a small vibrant town called Yate. We have excellent transport facilities with Bristol airport 30 minutes away and Yate train station only two minutes away. We offer excellent finance facilities which can all be arranged in-house, meaning you can drive away the same day, hassle free and at favourable interest rates. All of our cars are backed by a guarantee and are H.P.I checked for your own reassurance that yourhard earned cash is being spent wisely. 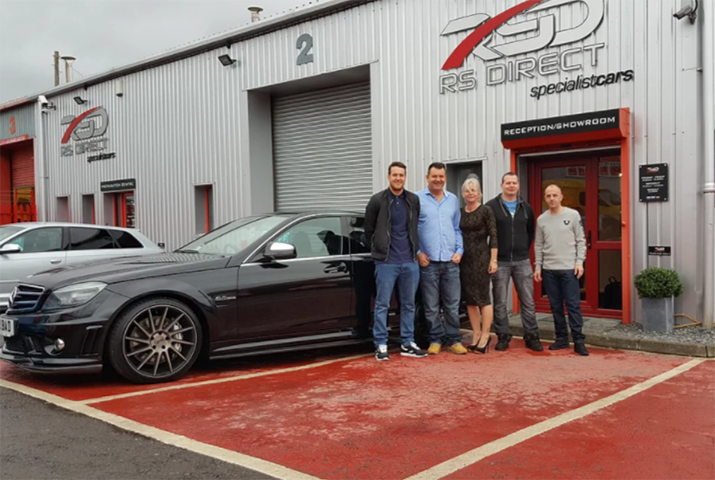 RS Direct has a massive social media following due to the nature of cars we sell. We invite you to click the links to our Facebook and Instagram pages to enjoy the content as many other thousands do. We look forward to seeing you soon at our showroom where you will be welcomed to a different car buying experience with no pressure sales and advice freely given.